programming – carly has red hair – journey of a girl who codes. We are also learning about Git. Git is not the same as gitHub. Git is a Version Control System (VSC) that enables developers to save every draft of their code. If you decide you want to go back to an earlier version, everything is saved and recorded by Git. Github is a social sharing website where developers can upload or ‘push’ their code, and work on a project simultaneously without stepping on toes. Github is similar to working on a GoogleDoc – you can work on the same document remotely, and see what other people are contributing. But, unlike Google Docs, you can work offline, and you can’t delete or over write anyone else’s work. Developers use VCSs to save every piece of code written by any one team member – so nothing gets lost, and everyone is on the same page at all times. There are three phases of Git: 1. Working Directory, 2. Staging Area, 3. Repository. When you are writing or making changes to code, you are in the working directory. You pull the code from the git repository you want to work from, and bring it into your working directory. 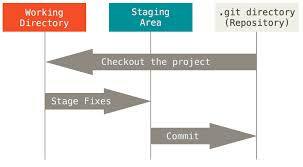 Then before you finally ‘push’ your code back to the git repository, it goes to a place called ‘The Staging Area’. When code is ‘staged’ you can still make changes that won’t be saved. Finally, you commit your code to the git directory/repository that is then posted on your gitHub. All this is done on your console. Pro Git – : http://git-scm.com/book/en/v2 – you can download the book for free as a PDF. Let me know if you find these helpful, and feel free to leave more resources in the comments section! You know what else was exciting this week?? I am on the Leaderboard for Code Academy Labs! The second week was more challenging. 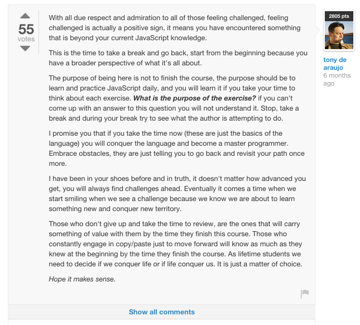 The first twenty minutes of class is a lecture; the rest of 4.5 hours is spent pair programming. We had different partners this week. I had the opportunity of being the slightly more knowledgable partner. Coincidently, my partner and I both came from backgrounds in film production. We had a bit of trouble setting up Sublime at first. My computer did not want to play with it. In fact, it refused to work until we humbled ourselves to it’s power. After 45 minutes of fiddling by myself and the TA, it worked after a hard restart. 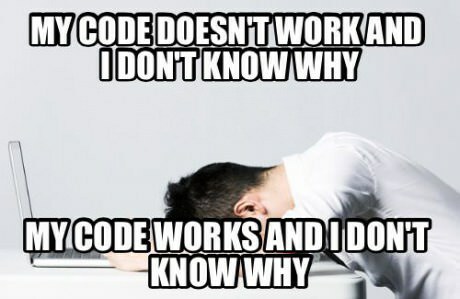 It was my first experience with code magic/mystery. However, we did finally get it up and running. And ended up catching up to the rest of the class. 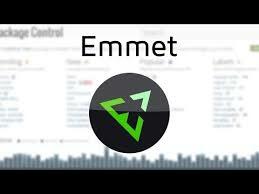 We also learned a fun little Sublime trick called ‘Emmet’. He is awesome. He’s a text-editing ninja. And I shall be his student. Homework is to try to memorize the short-cuts this week. Until then, I have hours and hours of coding a head of me! Hi – My name is Carly. I’m an aspiring web developer living in NYC. The January 2015 Cohort stars 15 dynamic, intelligent, accomplished individuals from various backgrounds. A handful are working in the tech industry. Others boast backgrounds as diverse as theater and banking. 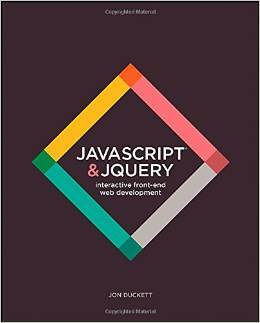 We tackled the first HTML + CSS projects by pair programming the first day. Pair programming is when one person “drives” (types), while the other person “navigates”(dictates code). As we are all relative beginners, working in pairs is great opportunity to learn from others while gaining confidence in what you already know. We programmed for almost 5 straight hours. The time flew by and the experience was invigorating. 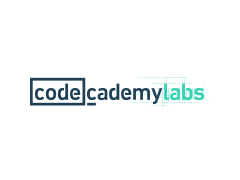 I am so grateful to work with Code Academy, and excited to take this next step in my education. I’ll try to make posts each week. I’m hoping this blog will be a resource and a source of encouragement for other women who are interested in learning to code. Feel free to leave comments and ask me questions.